As you can imagine, moving to a new country can be stressful. In Korea, the language is completely different, you aren’t always sure about what you are eating and in most cities there isn’t enough space for you to stretch your arms out without hitting somebody. There are other adjustments that need to be made too, including, settling into an apartment that is the size of your old bedroom or the simple task of ordering food. These are just a few examples of culture shock that Canadians and other foreigners go through when first arriving in Korea. Below are just a few personal examples followed by how each of them helped me in some way. 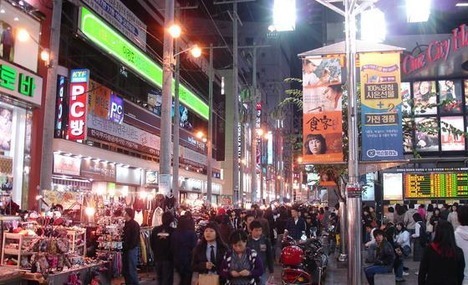 My first visit to Korea took place in 2004, in Daegu. I was 24 years old and prior to this I hadn’t done any real travelling other than a trip to Mexico for spring break, which really shouldn’t classify as travelling. I had certain expectations of what life would be like, but had no real grasp of some of the difficulties I would face and of course overcome (with the help of my amazing Korean co-workers). I went downtown for the first time the day after arriving. Taking the bus, or any form of transit in Korea is an experience to write about in itself, but I’ll just mention that I wasn’t prepared to get on and off busses that don’t come to a complete stop. I barely got on the bus at all. When I sat down I wondered how I would be able to adjust to life there having felt like I narrowly escaped death on my first day. After experiencing this many times, I started to become much more aware of my surroundings than ever before. poke out my eyes at every turn. I wouldn’t say I was claustrophobic, but my personal space was being invaded heavily. The crowded areas really made me appreciate Canada’s open spaces. The language barrier was made easier by me teaching myself how to read Korean, a big help when reading menus and street signs. It gave me confidence that I could visit different cities without worrying about being totally lost. I could go on adding onto the list and we’d end up at quite a large number. What’s important is learning to deal with these cultural differences. I learned to adapt and engage myself into a culture that was different but interesting and unique. There was always a lesson that I learned about myself and the new culture that absorbed me so welcomingly. There is a reason I returned to Korea on two separate occasions afterwards. The culture I was so shocked by at the start, grew on me a great deal and is responsible for my kimchi cravings.